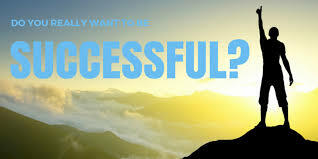 Everyone love, cherish, dream, adore and most importantly want to be successful in life, no one wants to be identified with failure but the road to success is not that rosy, it is filled with obstacles and hurdles which i think is the very thing that makes success so wonderful when attained. Procrastination: Like i earlier did a write up on one of my blog post on this blog in the past about the ills of procrastination , procrastination is one of the major killer of success, do not leave it for later rather DO IT NOW cause if you fail to do it now you may forget to do it later or it could be late doing it later. if it's a business idea that you have do not wait till you have all the money in the world before you start, begin with the little at your disposal and watch it grow into an empire. Worry: You need to overcome worry if you want to succeed. whenever i come across this word "worry" i always recall one south african phrase that says "Akuna Matata" which simply means "Don't Worry" . You do not have to worry about that ugly situation that you are at the moment rather keep doing the best you can to make it better. I also have a post that elaborates more on How to live a life free of worries and it's Benefits you can as well check it out. Low Self Esteem: You have to work on your self esteem cause having that low self esteem can make you not to have that courage or drive to try out some things that you have not tried before which can probably lead to success. Slow to Act: Now this is a very serious problem that most youth of today have, Always leaning back and giving some flimsy excuses of "waiting for the right moment" 'Yes' it is a good thing sometimes to wait for that right moment but we should not over-stretch it, be mindful and focused to know when to act. Impossibility Syndrome: For someone who wants to be successful in life that word "impossible" should be obliterated from his or her mind. Anything you can think of is achievable "trust me" the only thing that can make it impossible is the nonchalant attitude towards that very task. Lack of Seriousness: If am to define this term as regards this particular context i would define it as knowing the task in hand but just being lackadaisical (showing no interest or enthusiasm) about it, this has to be dealt with if you want to be successful . Half-Hearted Approach: Like i published sometime ago on one of my social media account that "if it pays put in your 100% commitment" that explains this very point. Just imagine what you can achieve when you commit your whole self to that. Distractions: Distraction is one of the major factor that can mar one's success in life because when you get distracted in life you miss the mark and start chasing shadows. You can read this post that further elaborates the 8 tips to overcome distraction. Pride: Pride comes before fall. What is that thing that you have achieved in life that no one hasn't? the answer is Nothing . Humble yourself cause you never know what you might learn or gain from the person nearby that can help in your cause. Hope this piece helps get you to the very top..
Wow it's really an amazing post. I love to see the complete list of these top 10 things which stop us from being successful. I always look for such inspirational posts. Thanks for this amazing content! You make some good points & I think they will help many, even if they only focus on 1 of the 10 things you've listed. You couldn't be more right. I think most of us struggle with a number of these things. This is a great post. Yes in order to be successful you need to stop procrastinating and get out of your comfort zone take action. Thanks for sharing! I have never heard of the impossibility syndrome. That is a good way to say it. You have to have a better mindset to accomplish something. These are some very good tips! In order to be have success one has to make some sacrifices. Very inspirational post. These are very important 10 things. Thanks for sharing! Worry and low self esteem are defo my ones of this list. So hard to deal with them! Worry can really take hold unless you work on it. Great list. These are great tips if you want to achieve success in life. I agree with them. Great list! great tips! all very true! When you overcome these things you will be successful! Definitely worry is one of the things you need to overcome. You cannot allow your fear to move you if you want to succeed in life. But you cannot be proud either that prevents you from seeing your own faults. This is a great list to encourage people to do their best. On thins that stands out to me is the worry. I don't worry about things that I cannot control. It's a waste of time and energy. it's best to focus on things that you can control and try your best. Great post!! Stating positive is the best form of success!